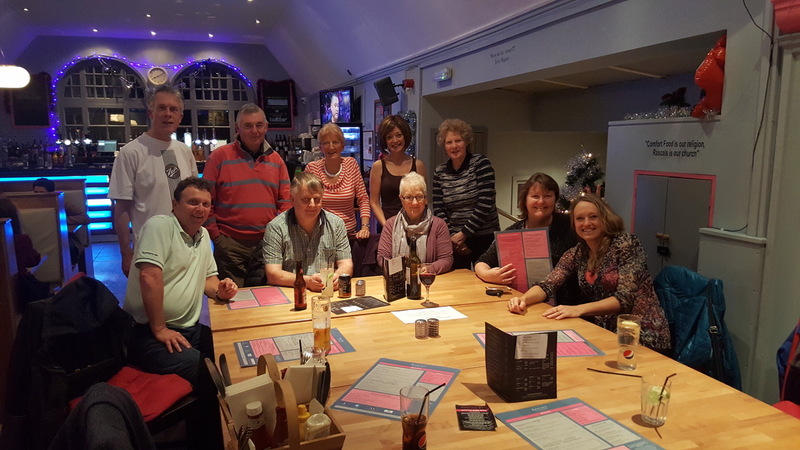 This week’s photo shows the ‘Thursday Night Rascals’ celebrating after a very enjoyable term’s play at Kilrymont which culminated in a fun team event won by the two left-handers of the group, Dave Angus and John Carlton. Dave is pictured far left in the back row. However, play in Division One of the Dundee & District League was of a more serious nature when Prefects welcomed Forthill’s Rockets to the Victory Memorial Hall. With the target of keeping ahead of Rockets in the league table, Michael Hahn and Howard Lee proved well up to the task. Michael scored a hat-trick of singles wins, Howard produced possibly his best result of the season in taking the scalp of David Sim and they added the doubles to give a 5-5 draw which maintains their points differential. On the second table in the hall, New Kids were unable to match their club mates. Against Viscounts from Mylnefield, the two Ians (Smith and Brumwell) playing alongside Kong Wan pressed hard to force five five-setters but as happened the previous week, the Kids could not convert any of the close encounters into a win. On the following evening, Truants and Swots met in a derby for the first time. Bragging rights on the night went decisively to Truants. Alain Leger must have been particularly delighted with his form in joining Sascha Roschy in winning all his matches, with Knut Radmer chipping in a win too. Emma Bissett and Ian Smith each beat Knut to put a couple of points on the scoreboard for Swots. As the half-way stage in season approaches it is increasingly looking like Swots and New Kids are in a relegation dogfight in Division 2. In Division Three, Prospects travelled over to Broughty Ferry for a tie with Duffers which swung back and forwards. A win and a loss each from Sandy Pearson, Neil Lea and Ian Brumwell meant that the doubles was to prove pivotal and when it and the following singles were lost, it was a big ask for the St Andrews side to pull back the last two encounters of the evening. Sandy gave it his best shot, pulling the score back to 4-5 but Rich McLaren had too much in the tank for Neil and Prospects had to be content with the four points. This entry was posted in Match reports, St Andrews Table Tennis Club on December 18, 2016 by standrewstt. St Andrews Table Tennis Club’s top team, Prefects, were on cup duty twice this week. On Monday, they went down 5-1 to Telstars, a disappointing defeat to a team in a lower division and they were hoping for more when they headed to Ward Road Gym on Saturday for the semi finals of the Chairman’s Challenge against Forthill’s Aces. Starting brightly with wins from Sascha Roschy and Michael Hahn against Peter Dixon and Jim Dyson, Prefects saw their 2-0 lead disappear when Howard Lee was pipped by Grant Williams in four sets followed by defeat in both doubles ties. At 2-3 down, Michael stopped the rot by beating Grant, leaving all to play for in the tie between Howard and Jim. In a fast paced match, Howard was unable to contain Jim’s strong attacking play and so it was Aces who headed onwards to the final. Best (and only!) win of the week was undoubtedly by Truants who had an impressive 8-2 victory away to Rollercoasters. With Sascha winning his now customary 3 singles, there was excellent team back up from Alain Leger and Graham Wood who each added two wins – and Graham combined with Sascha to take the doubles point as well. Not such a cheery tale for our other two Second Division teams who both suffered whitewashes. Despite forcing five five-setters against Chieftains, Swots’ trio of Rob Brown, Emma Bissett and Dave Beveridge must have been in despair when they could not convert any into a win. New Kids similarly just did not get the rub of the green against Thumpers. On an evening when only two of the ten ties was won in straight sets, Ian Smith was the unluckiest in losing 10-12 in the fifth to the rapidly improving Tony O’Shea. Fabio Sani was the man in form for Prospects in their Division Three tie against Tass. Fabio scored two wins and just missed out on a treble going down 11-13 in the fifth set of his third singles. Neil Lea and Emily Howat stretched their Telephone House opponents to a number of four-setters without quite managing to turn the match Prospects’ way. In the Secondary Schools tournament played at Ward Road Gym at the start of the week, Murray Paterson finished a creditable fifth out of a strong entry in the Under 14 boys event and so will be reserve for the Dundee and District team which goes forward to the Scottish finals in the new year. For the second week in a row, Campbell Snodgrass showed his prowess in a consolation singles, winning the event organised for those players who didn’t get through their first stage group. This entry was posted in Match reports, St Andrews Table Tennis Club on December 12, 2016 by standrewstt. This entry was posted in St Andrews Table Tennis Club on December 4, 2016 by standrewstt. It was a full week of fixtures for the five teams from St Andrews’ Table Tennis Club in the Dundee & District League. No-one was busier than Graham Wood who had the strange anomaly of winning his three matches guesting for Prefects in Division One on Monday and then the following evening losing three playing for his own team, Truants, in Division Two. In the Division One fixture, Prefects managed a 7-3 victory against Defenders to keep daylight between themselves and the bottom-placed team. To add to Graham’s treble, Clyde Johnson also won three singles and combined with Howard Lee to take the doubles. In fairness to Graham, Truants’ opponents Thumpers fielded a particularly strong team with the experienced David Sim substituting for young Jordan Ednie. However, none of the Thumpers could withstand the attacking play of our current man in form, Sascha Roschy, who put three points on the scorecard for Truants to keep them well out of the relegation zone. Swots also managed three points in their match away to Lundin Lasers but would have been hoping for more to keep them away from relegation danger. 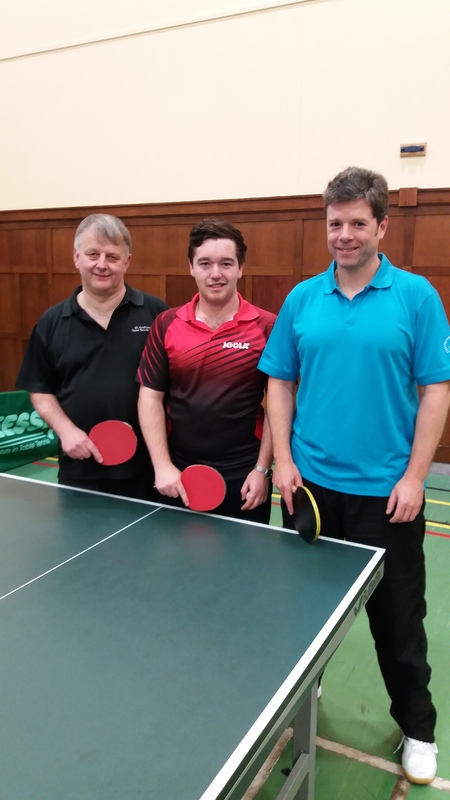 Dave Beveridge registered two singles wins and joined up with Rob Brown to stage a good recovery in the doubles tie, saving several match points and winning 12-10 in both the fourth and fifth ends. Also in Division Two, New Kids must have been kicking themselves for, after a good team effort from Kong Wan, Ian Brumwell and Ian Smith in leading 5-2 after two rounds of singles and the doubles, they let Tigers off the hook in the final three singles for a final scoreline of 5-5. 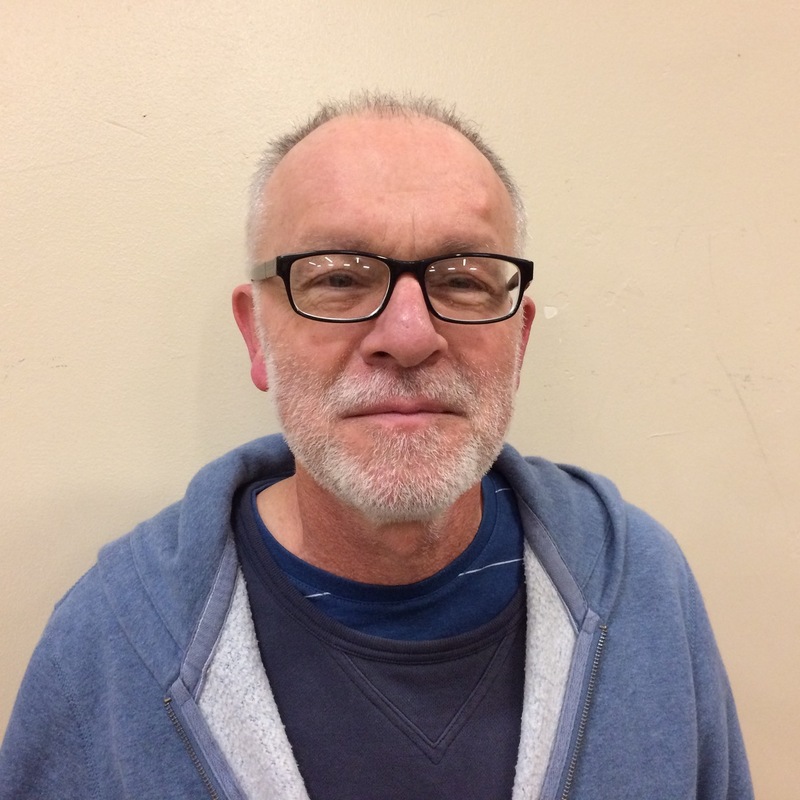 Regular player Ken Falconer was unavailable for the Kids due to oral Latin practice. Substitute Ian Brumwell had an eventful evening. Following a great win over Logan Anderson, Ian was well ahead against Marion Davidson after winning the first two games. Fortunes turned in the third game when Ian smashed a winner which inadvertently caught Marion’s lip and caused some bruising. Having inflicted this unintended injury, Ian lost concentration and Marion fought back to inflict some bruising on Ian’s ego by taking victory in the fifth game. In Division Three, Neil Lea, Emily Howat and Sandy Pearson travelled over to Ward Road Gym to take on Lairds but only Sandy scored for the St Andrews’ side. Continuing his recent good form, Sandy won all three singles in the 3-7 reverse. Finally, Lawhead Primary School pupils Keir Paterson and Campbell Snodgrass enjoyed a busy day’s play at the Scottish Primaries Championships at Bathgate. Against strong opposition, neither made it through their group to the final stages of the main draw, but with a consolation event organised to give the youngsters as many games as possible, Campbell got his eye in to win four matches and reach the final, only losing out 3-1. Great experience for the boys – and Keir still has another year in this age group. This entry was posted in Match reports, St Andrews Table Tennis Club on December 4, 2016 by standrewstt.